Can connect various devices by using bolts. 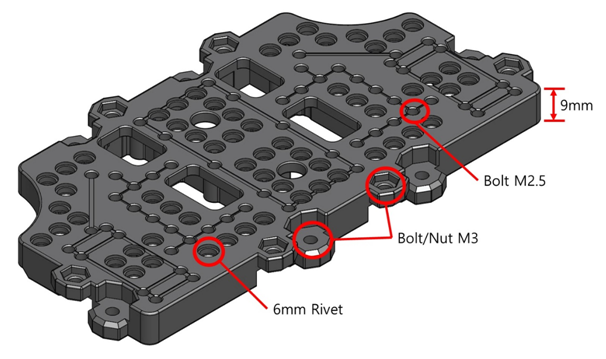 Can connect 6mm plates by using rivets. TurtleBot3 can be modified into various shapes as the plates can be assembled in various directions. Does not break easily as it is made of engineering plastic.